What follows is an exhaustive list of problems which users have reported with the Swift. Clouding seems happen within one month of use. G3 and G4 or G5 seem to happen together. G3 and G6 also seem to happen together. And these problems also appear after a major crash in BF4. If you do not have any of the above listed issues then you are lucky. (So am I). But then these problems have developed over time spans of three days to three weeks to three months. So, be on the lookout. Especially S2 goes unnoticed by most users (though there is a hefty thread on it over at the ROG forums) who then decide that their monitors are in perfect condition (as did I). S1 seems to be rare but I won the lottery on that. And S3 is confounding because it is inconclusive but more on that later. S3 is also believed to be the cause of S2 and may be the cause of S1 too. But in my discussion, I am keeping all three separate. A1. to let new owners get a handle on what problems the Swift might exhibit, and/or help the public make an informed purchase decision. (The intention is not to scare anyone away. Though the problem list is huge, the price and popularity of the monitor, the number of units sold, the fact that it implements a whole lot of new tech may be amplifying how we perceive the real extent of it's QC failures). Therefore, this is not a smear campaign of any sort. I still like Asus products and most of my rig is made of their stuff. A2. To create a few standardized tests that allow existing owners to see if they have the above listed subtle problems. A3. To see if there is a correlation between newer manufacturing dates and the absence of these issues. I certainly hope that the monitor is not working "as intended" with these three "S" problems. A4. Finally, if all the reported problems are listed or documented in one spot, perhaps we might get Asus' attention. A fix to these subtle problems, hardware or software, if possible, would be fantastic. A final reason why I wanted to start a new thread instead of putting this wall of text into the owner's club is that, in that thread, a discussion of these problems is often interspersed with discussions about availability, RMA experience etc. and reading or searching through 300 pages looking for some particular thing will only become increasingly tedious. When a fast moving object leaves behind an ephemeral remnant over the pixels it had travelled over, we call that a ghost. It is different from blur. We all know what blur is and blur itself can be annoying. To overcome or avoid blur, pixels are usually forced to respond faster from one refresh to the next when changing to a different color. But over driving the pixels in this way causes ghosting because over-driving introduces an overshoot in the step response of the pixel. "Overshoot" means a pixel responds faster to the command to change it's color but overshoots that color a bit before settling on the correct color. OD Extreme: a ghost that looks like the negative of an photograph. This is what I'm referring to as a negative ghost. But this negative ghost is not necessarily a "problem". It is simply the way the panel behaves when the pixels are being driven faster. Another way that blur is avoided in the swift in particular is with the ULMB feature. The backlight is strobed in sync with an image on the screen so that the pixels are lit very briefly and this eliminates blur. But what I observed on the blurbusters ghosting test is that ULMB produces a negative ghost that is worse than or just as bad as what is seen with the extreme overdrive setting. Neither the extreme overdrive's nor the ULMB's negative ghost are apparent or bothersome if you are playing games that look like battlefield 3 or far cry 3; worst-case, you might see outlines of objects briefly as if you are playing borderlands. However, they can be a big issue when playing brightly colored 2d games like hearthstone. Furthermore, you will notice the negative image as a conspicuous trail when you move windows around on the desktop. While the negative ghost is normally seen on overdriven panels, the swift's problem is that a transition from white to grey/black (or the reverse transition) leaves a green residue or blur. And it looks more like a blur than a crisply outlined ghost. If you perform the blurbusters inversion artifacts test (moving solid colors thick) at a speed of 11 13 or 15 pixels/sec, you may see a green trail at the leading and trailing edges of the gray bar. If you have a very bad case of the green ghost, you may even see it at the trailing edge of the black bar. OD extreme: crisp dark green rectangle at the leading edge of the gray bar. ULMB: same as with OD extreme. Unlike the negative ghost, the green blur (especially with OD off) is very visible in games especially battlefield 4 and can be bothersome. Moreover, unlike the negative ghosting, this is not "normal" behaviour for any panel, as far as I know. But the surprising thing was that when the video was running in fullscreen, I was reducing the contrast because the flashing video was too bright and hurting my eyes. I found that as the contrast dropped one notch below 50, that is, from 50 to 49, the green color vanished (at OD off setting, ofcourse.). That is, just to be clear, green at 50 and above, no-green at 49 and below. 1. Reducing the contrast to 49 and below will remove the green blur on TESTS1_C (OD off) but it will still appear faintly on TESTS2_B but you will no longer see its effects in games. 2. Leaving the overdrive at extreme or using ULMB always will also get rid of the green blur in TEST_S1B and TEST_S1C and also in games. 1. The green pixels are slower to respond than the red and blue pixels. I am not a panel expert but if you take a look at problem G9, this explanation may sound a little less ridiculous. 2. This could also be due to incorrect VCOM voltage calibration for green pixels, aka the pixel inversion problem. More on this inversion stuff under S3. Moire Patterns: Moving this image below slowly from left to right should produce what seems like a colored pattern. But if you put your nose to the monitor you will see that only two colors are produced - green and magenta. So, this is simply a repeat of what happens with the blurbusters moving solid colors (thick) test. Namely, a transition from white to black produces a green trail. However, I do not know why there is a magenta trail also in this test. If you’ve read anything on discussion threads about the swift, you’ve probably heard about the “inversion thing” or “screendoor effect” or “inversion lines” or “incorrect pixelmapping”. I call it “alternate bright and dark vertical pixel lines” because that is what it is. This problem is different from the persistent vertical or horizontal lines (see G5) that appear even on your desktop along with the blurry text problem. It is also different from the weird streaks you will see if you perform the lagom inversion tests (which we will discuss in the next section). No, this problem goes totally unnoticed because it is ephemeral and hard to detect. You might see it in the corner of your eye and think to yourself, as I did when playing far cry 3, that it was your imagination. And then I went to the owner’s club and declared that there were no “vertical lines” with my monitor. 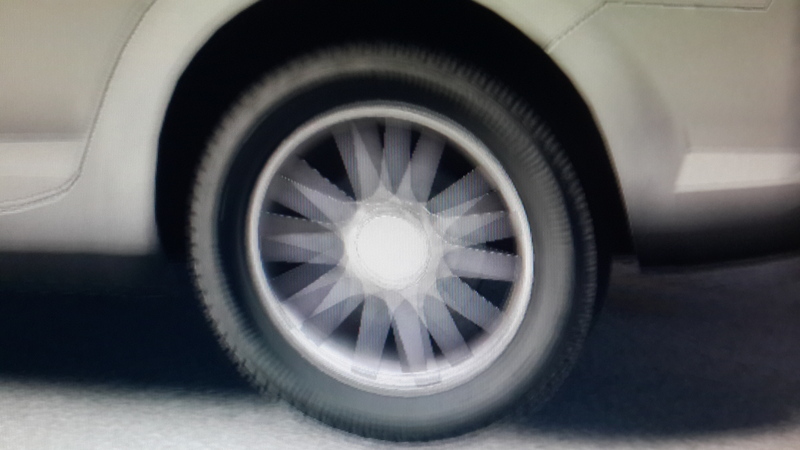 The problem is that it does not appear on the desktop (unless you force some distortions using the lagom/blurbusters inversion tests) but appears only in the motion of bright fast moving objects in videos and games. So, a static image will not help you see the problem. http://youtu.be/gm7lNyv-frk Look at the green lettering. http://youtu.be/707wMRnODUw Look at the dragonfly’s wings to see the black vertical lines interspersed with the bright green ones. If you still don't see what is going on, I’m going to give two tests for you to see for yourself that your monitor has this problem. Because no one can be told what the “Alternate Bright and Dark Vertical Lines of Pixels” problem is. You’ll have to see it for yourself. But be warned that once you know it’s there, you will start seeing it everywhere; on the 3d spot orange triangle in bf4, in hearthstone, in every muzzle flash in fps games etc. It might ruin your enjoyment of the monitor. If you'd rather be ignorant and happy, I do not blame you. It’s an 80 fps video with alternating frames – one frame with muzzle flash from far cry 3 and the other is the same scene without the muzzle flash. Using a video to check for this issue eliminates the need to hunt for it by launching games. You have to run the video in windows media player with fraps to ensure that you are running at 80fps. The muzzle flash will have three distinct regions – yellow, orange and red. While the muzzle flash is flashing on and off, look to the red portion with your face about 1 foot from the screen. Repeat TESTS2_A. This test demonstrates the same effect with bright green colors. Look at the bright green edge of the flashing card. If you’re still really sure you do not have this problem, please let us know. A problem with the panel itself aka the pixel inversion voltage problem. More on this inversion stuff under S3. Faulty Nvidia G-sync module. It has been stated by an asus rep on the ROG forums that there is no firmware that can be applied to the swift. This is because the scaler electronics found on regular monitors has been replaced with the g-sync module. If you assume the AOC panel, the GPU and the DP cable are working fine, then the problem could the gsync module itself. People have tried replacing the DP cable but that has not solved it. GPU Drivers? Many driver sets have come and gone since the SWIFT released but we are yet to see a resolution of this issue. I’ve run TESTS2_A and TESTS2_B after clean uninstalling the Nvidia drivers and I can see the effect then too. TFT central's review doesn't explicitly mention this problem but take a look at this capture of negative ghosting below. 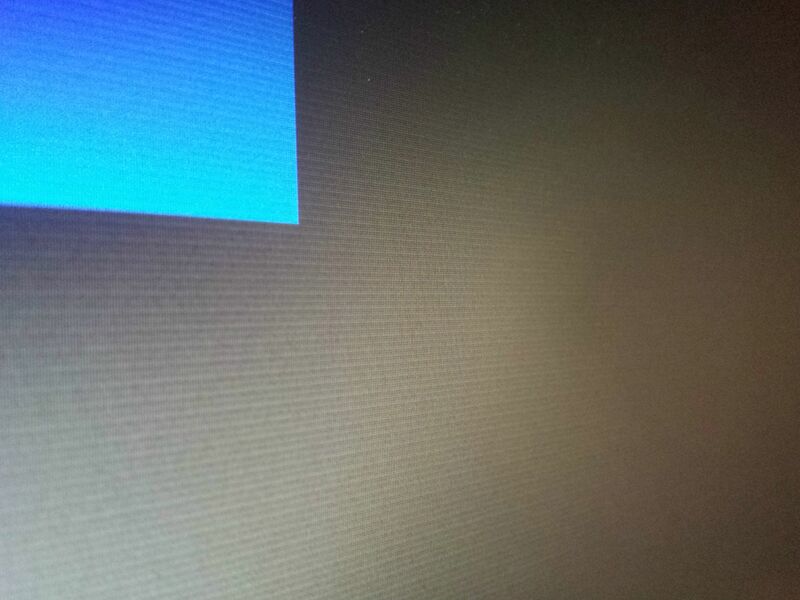 The blur/ghost on the benq monitor doesn't have alternating lines. TESTS1_A: yes, I see the negative ghost. TESTS1_C: yes, the flashing video is not green at 49 and below. (Or I didn't do the test cause I didn't want a headache). TESTS2_A: yes, I have the alternate bright and dark lines on the FC3 video. TESTS2_B: yes, I have the alternate bright and dark lines on the Hearthstone video. DP: supplied cable or bought separately. What egregious problems from the G list are you having? how did you solve it? I hope this thread helps, you guys! Credit goes to the people who made the youtube videos, took pictures and shared their findings. If you want me to add more items to the list of problems, give me a name and an image or video. TESTS1_A: No ghost on normal. TESTS1_B: No, I see no green blur. TESTS1_C: Yes, the flashing video is not green at 49 and below. Was not green for me at 50. TESTS2_A: No, I don't have the alternate bright and dark lines on the FC3 video. TESTS2_B: I had difficulty playing this video smoothly, but noticed nothing. 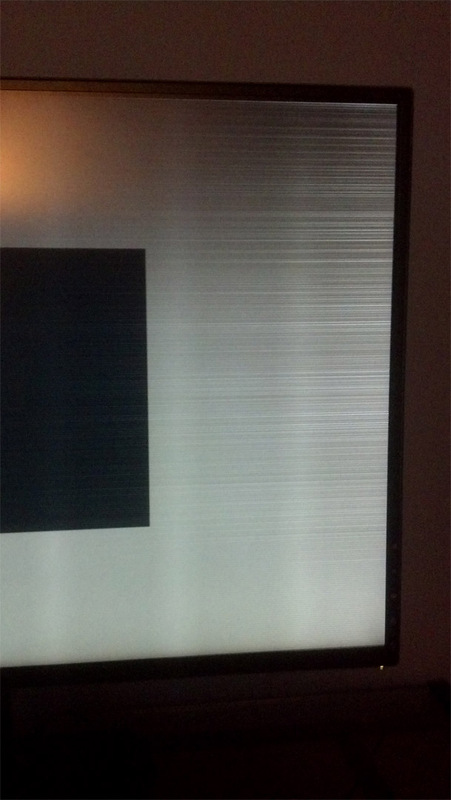 I also get moire patterns and terribly uneven backlight. Great thread OP, should be stickied imo. That said I think I've been convinced not to order a swift after seeing it all compiled - and I was about a week away from ordering! First of all. Mad props to the OP for taking the time and effort to compile this. I have been taking note of all the issues, but having them all listed in one place is huge. I have already sent back two ASUS Rog Swifts via RMA (July build date) when my RMA was returned damaged and am currently waiting on a replacement with an October build date. Will provide Test 1A, 1B, 1C. Results when new unit arrives. My original issue besides the vertical striping (lines) which were annoying but IMO less bothersome to me than the issue which prompted me to send the unit(s) in. The blurry text which made the display unuasble. The best way I can describe the blurry text problem is that it gives you the impression that you can't focus and need your eyes checked. On my screen the far right hand side of the screen was clear as when I got it, the left, middle and middle right were blurry. I could clearly tell that there is an issue and could consistently replicate/demonstrate it by simply right clicking on different portions of the desktop and reading text in the prompt. It's clear on the right with great definition, the opposite on the left. Fonts are hard to read, fuzzy. Some letter like the "e" and "a" have the centers filled where as on the right hand side (Clear side) the centers a clearly visible and distinct. When I first noticed it, I thought I needed to go see an optometrist but upon further inspection it's the display. 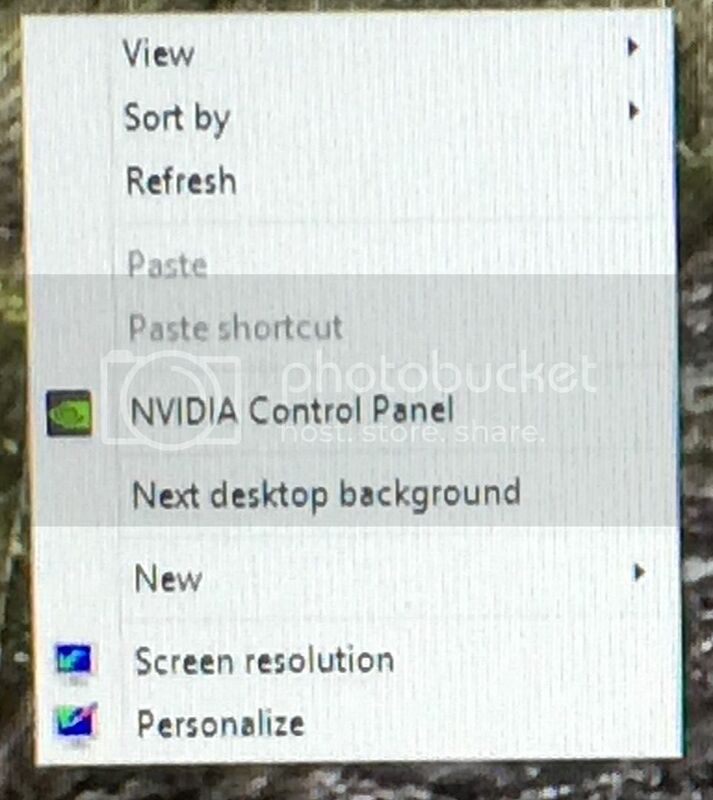 I have tried cables, different nvidia drivers (clean install and not), different refersh rates, connecting the display with the computer on, resetting the display to defaults etc. Nothing seems to fix the issue. Here are some pictures to add to the thread. Again huge thanks to the OP. Subscribed and hopefull that this thread helps ASUS fix these issues. I loved the display while it worked. The fluidity of 144hz when playing at 60fps or above with gsync is a game changer. Nice one! About my Moire i personaly dont think that its like green ghosting. These pixels dont act like ghosting. I will upload later that green ghosting issue that i had and only thing that fixed it is lower green color to 49 or more i have i think 48. Thanks for your work. Also you don't need someone's permission to put a link to their video here. Internet is all about links. So this monitor has so many problems? I always thought inverted/negative ghosting was limited to VA based panels with excessive overdrive(like my 245t). To be perfectly honest, other than the one reason I returned mine for a replacement, I couldn't notice anything in practical use, but only used it for a night. It can't be denied there are serious QC issues. I'm hoping I get a November model this time and that most of it has been fixed. 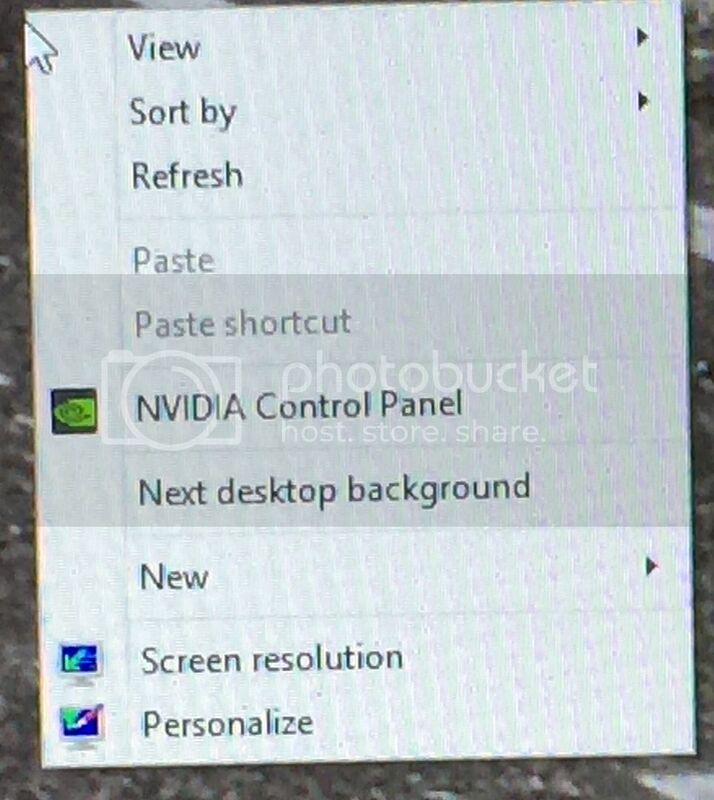 Asus would be wise to do so.